Whether you have recently lost a good deal of weight or you are at an age that your skin is more vulnerable to visible signs of aging, you may already be in the search for the best neck firming and tightening cream. Neck aging signs such as sagging and wrinkling skin can become visible even before facial aging signs appear. How soon these signs become visible for each person may vary depending on various factors such as the genes, absence or lack of a proper skin care routine, an unhealthy lifestyle, poor diet, stress, lack of sleep and more. In my case, I think the fact that my skin on the neck is particularly smooth and thin as well as all those long hours sitting in front of a computer makes this area even more vulnerable to aging. What can really help to naturally firm and make the neck area less wrinkly is the consumption of antioxidants that delay the aging process as well as the topical application of neck firming anti-wrinkle creams that are enhanced with antioxidants. Neck exercises for wrinkles which you can apply daily and preferably twice a day is also very beneficial as well as using natural oils that are rich in essential fatty acids. All firming creams will not work the same for every person and just how well these neck creams work will depend on the actual effectiveness of the product, period of use and condition of the skin. Also, keep in mind that by only using a neck anti-aging cream, you cannot expect that wrinkles and sagginess will just disappear, but a more holistic plan is needed to boost your body´s defensive mechanisms to aging inside out. In addition, the application of some neck exercises is very important to tighten the neck muscles and be able to support the skin better and make it tighter and less wrinkly. Leaving neck wrinkles untreated for a long time will make it more difficult to get rid of them, so you should daily take care of your neck with the right products to prevent and reduce existing neck wrinkles and fine lines. Let´s have a look at some of the best neck firming creams on the market today as well as what the users´ reviews say about these products. Neostrata Triple Firming Neck Cream features 2.8 ounces of rich cream that comes in a powder blue container. Its key ingredient is Acetyl Glucosamine, an amino acid sugar that reduces wrinkles, promotes wound healing and inhibits the production of melanin. This paraben free product claims to reverse all aging signs on the neck as well as décolletage area. More specifically, it promises to firm the skin of the neck, make it plump and smooth as well as boost collagen and reduce discoloration and dark spots in the neck. This Triple Firming Neck Cream has gotten very positive reviews with the vast majority of users really liking this product. Some of them find that it moisturizes their neck and chest area well while others review that it plumps and tightens their skin or evens out their skin tone resulting in younger looking skin in the neck and upper chest area. In addition, it is easy to apply and it does not have a greasy feeling. While most users do admit that this neck firming product is no fountain of youth, they do feel that it does a great job at reducing wrinkles and making their neck area feel tighter. La Prairie has been the synonym of high end and effective skin care for years and although the price of their products is prohibitive to the majority of people, skin care users may find that some La Prairie products are worthwhile paying for. Nevertheless, I would always recommend to get a sample if possible before buying the full product. La Prairie Anti-Aging Neck Cream comes in a 1.7 ounce jar and can be used by both women and men. It is supposed to tone the neck and chin, minimize age spots, restore skin elasticity as well as firmness, moisturize the skin and remove dark spots. In addition, it has a rich texture and contains a little fragrance. Most users like this product and say that it slowly improves their skin. It goes on smooth and seems to be firming and moisturizing. It also softens the skin and feels light. Nevertheless, not all users have been pleased with the effectiveness of this expensive neck cream. This Beauty Facial Extreme Neck Firming Cream comes in a gray pump container and is backed up by a 30 day money back guarantee. 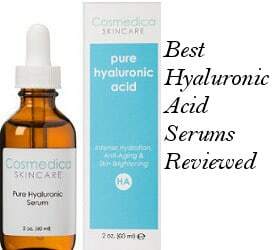 The company states that this product will minimize the depth of wrinkles, reduce fine lines, firm the neck skin and lighten pigmentation as well as age spots due to the unique blend of a Peptide complex contained in the formula the ingredients of which have moisturizing and skin softening properties as well. Reviews and ratings for this neck cream are very positive. Users say that it absorbs into their skin well and it does not feel greasy. They like its texture and mention that it lasts for months, resulting in a smoother and firmer looking skin. They also do state that it reduces fine lines as well as wrinkles and helps their skin hold in moisture. 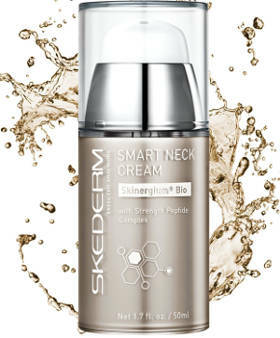 This Skederm Smart Neck Cream comes in a 1.7 ounce pump bottle and is suitable for people with sensitive skin since it is free of artificial colors, fragrances, parabens, phthalates and sulfates. It also sells for a fairly modest price. According to the company, this is a great neck moisturizing cream that helps with saggy skin, promotes collagen production to prevent wrinkles, nourishes dry patches of skin and brightens your skin tone. 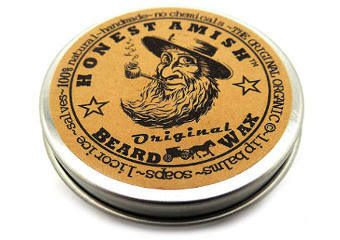 Users like that this product has a nice matte finish and a mild scent. They find that it offers light to medium hydration and it absorbs quickly. In addition, it slowly firms up loose skin and softens as well as smoothens it. While people admit that this neck cream won’t take the place of plastic surgery, they do state that it will help to slow the aging process, leaving their neck and chest looking smoother and more wrinkle free. 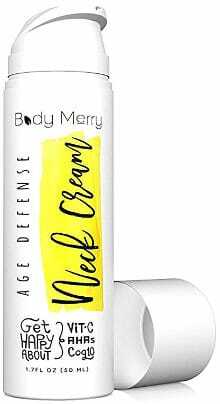 This Body Merry Age Defense Neck Cream comes in a 1.7 ounce white pump container and contains some antioxidant and skin healthy ingredients such as glycolic acid, vitamin C, COQ10, Cocoa butter, Green tea and Jojoba oil. It does not have any added fragrance and is good for sensitive skin as well. It is made in the USA and comes with a 90 day money back guarantee. Users review that this cream has some firming properties and is hydrating. It also helps with neck wrinkles and is smoothing to the skin. Besides, they state that with continued use, they did notice a tightening of skin on their neck. They also like that it is fast absorbing and non-greasy. 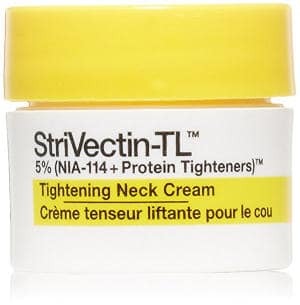 This StriVectin-TL Tightening Neck Cream comes in a white jar with a yellow cap and is extremely inexpensive. It contains 5% NIA 114 which is known to renew skin strength. While reviews for this neck cream are only mediocre, some users have found that it tightens skin on the chin and neck as well as reduces wrinkles and softens skin. They are actually surprised that this product has worked faster than expected. In addition, they say that the cream feels good going on and that it does tighten loose skin for people who have lost weight. The longer you use this product, the more improvement you see, and people also like the fact that this is a non-greasy formula. This Gold Bond Ultimate Neck and Chest Firming Cream comes in a 2 ounce container and, according to the company, it is enhanced with seven intensive moisturizing ingredients. This is a non-greasy product that has been clinically tested and is fragrance free. 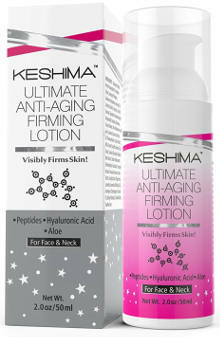 It promises improvement of firmness, a smoother and softer skin as well as improved hydration levels. Product reviews are quite good with users liking several things about this neck and chest firming cream. More specifically, they find that it absorbs quickly and works fairly fast. It also tightens the skin while at the same time softening and plumping the area as well as reducing wrinkles. Finally, they like the fact that it does not irritate their skin and state that this cream works better than some more expensive neck creams. This Keshima face and neck firming cream is available in a 2 ounce pump container and comes with a 120 money back guarantee. It includes such skin healthy ingredients as complex peptides, hyaluronic acid, vitamin C, aloe, lemongrass oil, sunflower oil, and green tea extract. Users find that it smoothens the face and neck while plumping and moisturizing their skin. It absorbs well and is easy to apply. It is non-greasy and doesn’t leave any residue behind. Finally, it slowly firms the skin and is incredibly lightweight. This firming and toning neck cream by Life Essentials Skin Care comes in a 2 ounce amber bottle and contains some skin healthy ingredients such as aloe vera, sunflower oil, glycolic acid, coconut oil and green tea extract. It is made in the USA and comes with a 100% money back guarantee. Users review that this product smoothens, softens and brightens their skin. It is rich but non-greasy, moisturizing as well as very easy to apply. A little of this cream goes a long way and people really like that the scent is not overpowering and that the cream includes some organic ingredients. 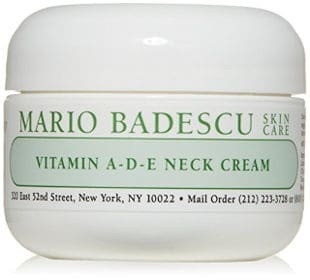 This Mario Badescu Vitamins A-D-E Neck cream comes in a 1 ounce white jar and sells for a reasonable price. Some of its ingredients are vitamins A and E, Cocoa Butter, RNA, which promotes a firm and more lifted skin appearance, as well as hyaluronic acid. Users say that this product is rich in moisturizing ingredients and is easy to apply although it has a thick texture. While users have not experienced results overnight, they do find that over time this cream does reduce wrinkles and fine lines, and provides some tightening of loose skin. 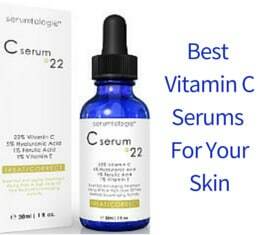 This product is best used as a preventative to keep wrinkles and sagging from appearing prematurely. 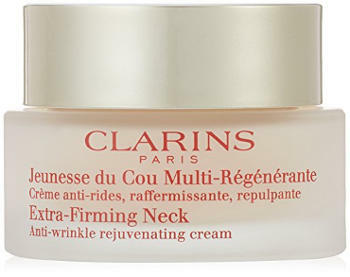 This Clarins Extra Firming Neck Cream is a non-oily and lightweight formula that, according to the company, tightens and brightens the skin on your neck and upper neck while also making it soft and smooth. Users like the fact that this product is non-greasy and has a nice scent and texture. It tightens and firms the neck to some extent while it also works as a neck and chest moisturizer. In conclusion, if you are looking to improve the look of your neck and chest, then one of the best neck firming and tightening creams in this review may well give you the improvement that you need.